Arrow Pearl Company is the parent company for its interests in several different Kimberley focused marine activities. Arrow Pearl Company Pty Ltd (Arrow) emerged from humble pearl diving origins when 19-year-old Stephen Arrow purchased the Broome pearling lugger DMcD in 1979 with partner Bruce Barker. Twelve tonne of pearl shell was harvested by divers on the DMcD on a single dive trip in 1979, a record for a wooden pearling lugger (for both a single voyage and a season), at a time when mother-of-pearl from the world’s largest pearl shells was in demand for button manufacture. 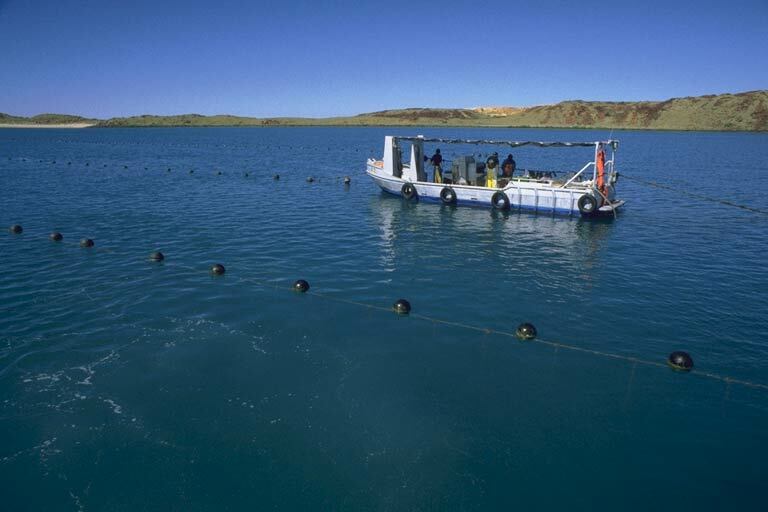 In 1980, after successfully receiving an exclusive pearl culture license and obtaining support from Aboriginal Community Elders, the development of a pearl farm began at Beagle Bay, 120 km north of Broome. Stephen pursued involvement in the widespread industry change from mother-of-pearl collection to live pearl culture. Transitioning in the mid-eighties from its wooden hulled pearling lugger to a modern steel vessel represented an enormous shift for the company. With accommodation on the new vessel for divers and pearl technicians and the capacity to transport live pearl shell over long distances, Arrow’s pearling operation thrived. The government had introduced a quota system to limit the annual collection of pearl shell, protecting the long-term sustainability of a precious marine resource through a carefully managed and regulated fishery. This quota system remains in place today. Successfully combining competent people and good process with local expertise has strengthened Arrow’s reputation as an efficient Kimberley team with an in-depth understanding of demanding operational environments under and on the water as well as on land. Arrow remains involved in a number of Kimberley based projects including offshore and coastal commercial marine work, energy and resources business, aquaculture, fisheries, research and development and environmental management projects.